Recently, A batch of flame retardant workwear were called back by USA consumer commission, which tested that didn’t not meet the standard of textile inflammability and had the risk of burn injury. According to the analysis report, Some factories are lack of export experience, Resulting in misunderstanding the standard requirement and test procedure, That lead to the fabric of flame retardant workwear didn’t meeting the requirement and design defect security problems and so on. Above, Choose a professional and experienced factory is very necessary when buying flame retardant workwear. 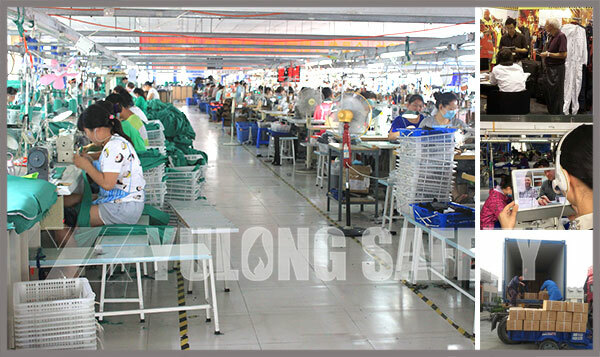 Xinxiang Yulong Textile Co.ltd is focusing on producing and exporting flame retardant fabric and flame retardant workwear since established in 2002. Our clients are all over the world, we well know about the flame retardant testing standard of all these counties as we have long term cooperation and export experience for years. We also integrating a product testing system comprised with testing standards of the other counties . Our flame retardant workwear, the protection theory of which is shielding the body injury of the flame by preventing the heat and carbonizing the fabric, thus protecting the workers get away from the open fire, heat and drop combustion. Our design team also keep promoting our flame retardant workwear according your working situation and feature. Which aiming to keep body flexibly and feel comfortable during wearing the clothing . High quality flame retardant workwear are well used in petroleum, chemical, smelting and manufacturing industry, etc. Choose safety and mature flame retardant workwear supplier, Xinxiang Yulong Textile Co.ltd is reliable, we are devoted to be your security protection expert.